Looking for a specific color to match an existing wall or color pattern? No problem. 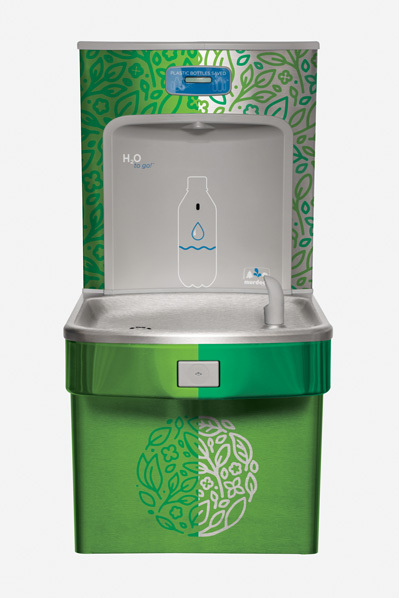 Murdock® Manufacturing has the unique ability to match all Drinking Fountains, Water Coolers and Bottle Fillers to any existing Pantone® color swatch. Color match your unit so that you don’t have to design your space around it… make it a part of the room! With an array of options in body style, number of drinking stations, custom colors, logos, graphics and finishes, Murdock Outdoor Drinking Fountains, Pet Fountains and Bottle Fillers can be customized to suit parks, golf courses, sports arenas and more. Enhance your brand with Murdock hydration stations customized with your company logo! We have the ability to match any unit with all signature brands, graphic designs and logos. Enhance your hydration station. View Murdock custom options today!